We’ve been scouring the usual sources while on vacation, using the downtime to gather and soak in the ethnomusical history of the region. Having covered five Carolinian artists in our previous visits leaves us room and time to sample broadly from the archives, and happily, North Carolina offers especially rich soil for folk and coverage alike. Today, then, a midweek dip into the talent pool, with covers of and from Ryan Adams, Steep Canyon Rangers, Ben Folds, Tift Merrit, David Wilcox and Acoustic Syndicate today, and still more to come later in the week from The Red Clay Ramblers, Delta Rae, Hiss Golden Messenger, and more native sons and daughters from old-timey and newgrass to cutting edge indie and alt-folk. We shared Red Molly’s version of Oh My Sweet Carolina, a tributary Ryan Adams cover, several years ago for our very first Carolina Coverfolk feature. Today, a three-fer from the versatile artist himself, who was born and raised in Jacksonville, NC, formed alternative country band Whiskeytown out of Raleigh in 1994, and – especially in modern solo guise – has a knack for finding the aching heart in songs from a wide range of genres. His cover of Wonderwall, long a favorite, apparently transformed how the original band performs it. And don’t miss Strand Of Oaks with a bonus cover from WXPN’s 2014 Year In Review cover songs project. Singer-songwriter Tift Merritt spent her own childhood in Raleigh, and went to college in Chapel Hill. We featured her exquisite collaboration with pianist Simone Dinnerstein back in 2013, and a whole mess of solo output besides, but they’re worth revisiting, alongside a new cover from a new Bessie Smith tribute – and proud to report that our affection for her has only grown since catching her as opening act for an acoustic show with Mary Chapin Carpenter last fall. Steep Canyon Rangers simply shone when I first encountered them at the Boston-based Joe Val Festival way back in 2008; with humor, talent, and poise in equal and vast measure, it was clear this quintet was going places, and deservedly so. Since then, of course, the Brevard-based band has risen fast, and even coupled with Steve Martin for a Grammy-winning ride, but we still love their rendition of this old Grateful Dead standard, and we’re tickled pink to find a version played so close to home. I first fell in love with Acoustic Syndicate at Winterhawk 2002, just days after becoming a father; it was the first time I had been away from her, and the glow I carried was warm in the sun, a perfect match for the mellow jams that followed. But the newgrass jamband bears up over the years, thanks to funky, twangy beats and rollicking, upbeat lyrics that conjure the heat of summer; here’s a soundboard-sourced live set to prove it, all from a single 2005 gig at Mills River, North Carolina festival Smilefest, hosted by the same Internet Archive that hosts our own blog’s archives from 2007-2012. With or without the Ben Folds Five, which formed in Chapel Hill after his triumphant return from out of state in 1995, Winston-Salem-born native alt-rocker, pianist, and a capella fanatic Ben Folds isn’t known for folk music. But even beyond The Luckiest, which we last shared in the capable hands of Matt Ryd, his suburban angst balladry is well-covered, and well beloved, and many of his greatest hits read like contemporary narrative folksongs. Here’s a few other sweet takes from the Soundcloud cohort, plus an old, old favorite and a stellar mixed genre in-studio take on an oft-covered tune. Though born in Ohio, contemporary folk singer songwriter David Wilcox attended college in Ashville, broke into the scene from its stages, and has lived there most of his adult life. We’ve featured Wilcox through coverage in various mixes over the years, but these songs, too, bear collecting and repeating, their gentleness and warmth a perfect match for this perfect sunset. Looking for more coverfolk from North Carolina? 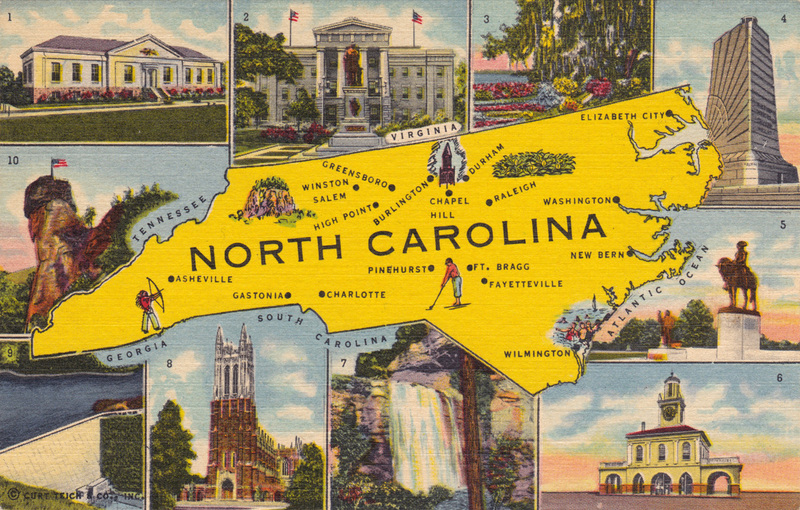 Check out our compilation post from earlier this week, with links to all six of our previous Carolina Coverfolk features, with over a hundred songs of and from James Taylor, The Avett Brothers, Doc Watson, Elizabeth Cotten, and the Carolina Chocolate Drops…and then make sure to come back at the end of the week for more coverage in tribute to North Carolinians Ola Belle Reed, John D. Loudermilk, Jim Lauderdale and more! Hope you are enjoying your vacation and all is well.